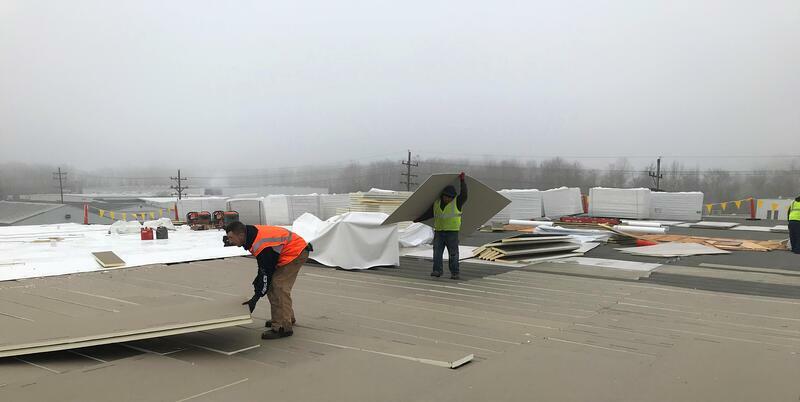 Description of Work: Our guys were busy roofing all of plant 1 at a manufacturing facility in Madison, IN. This time, they needed to perform a metal roof retrofit. 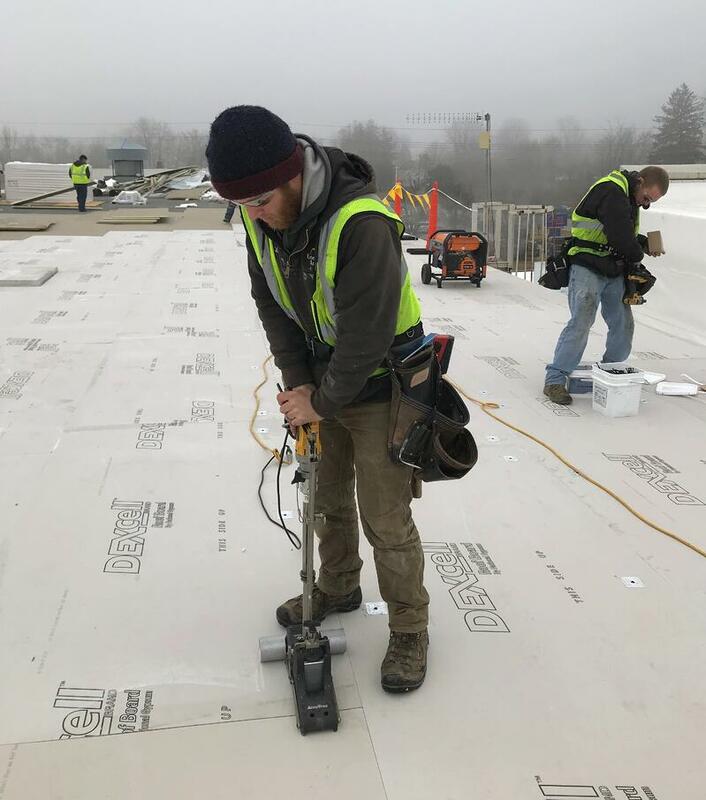 This process involves cutting roof insulation and filling in the ribs of the previous metal roof in order to add an additional layer of insulation to flatten the surface. 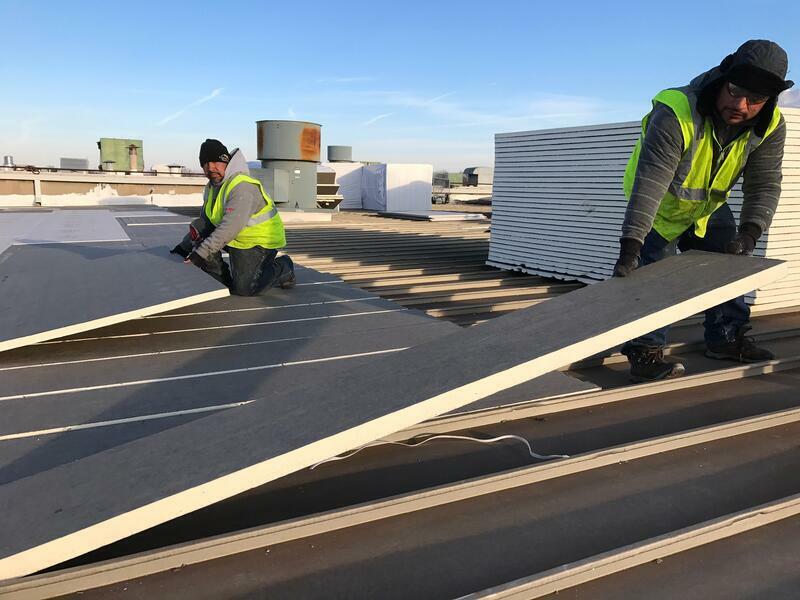 Then to top if off, they installed a 50 ml PVC roofing membrane from Duro-Last. This roof is a 20 year long term solution for leaking metal roofs! 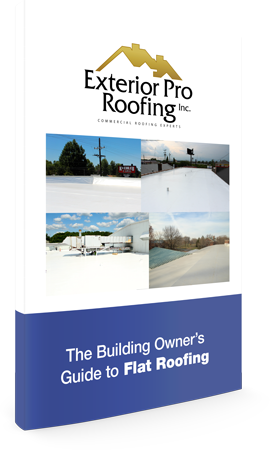 Check out our Blog & Video that cover Metal Roof Retrofitting!